Nobody knows exactly who, when and how invented this roulette winning system. As usual, there are some guesses, myths and legends but the most simple says: it was designed by a gambler called Oscar (very strange!). 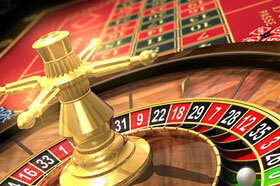 Its origin goes back to 1960's so this roulette strategy has rather long history. If you are a passionate gamer, this system is not for you, as it was created for the very hard-working and extremely patient people. It is very time-consuming but if you catch the rules, it can be also quite rewarding. Let's take $5 as one unit. The experts suggest start betting with the bankroll of around 50-60 units so that it will work as a winning system. #1 If you win, raise your bet by one unit. #2 If you lose, bet the same. #3 Once you win one unit, the series is over and you start again. Series is over. Start again! Remember, we took $5 for one unit? Have you counted your winning? Some players say that it is not a progression but a waste of time. But, honestly, there is a hint on the negative progression. You have to understand it in order to appreciate. Why the system is good? Because it does not devastate your pockets fast and you will have time to leave the casino before it is too late. Also you should remember to follow the bankroll management, which is vitally important in any betting system. Combining these two system you make a good investment into your gambling.